Fast growing technology companies need a way to organize and track their corporate contracts and other time sensitive material. They must have a method of accurately tracking and alerting appropriate personnel about upcoming milestones, auto renewals, and inactive contracts. 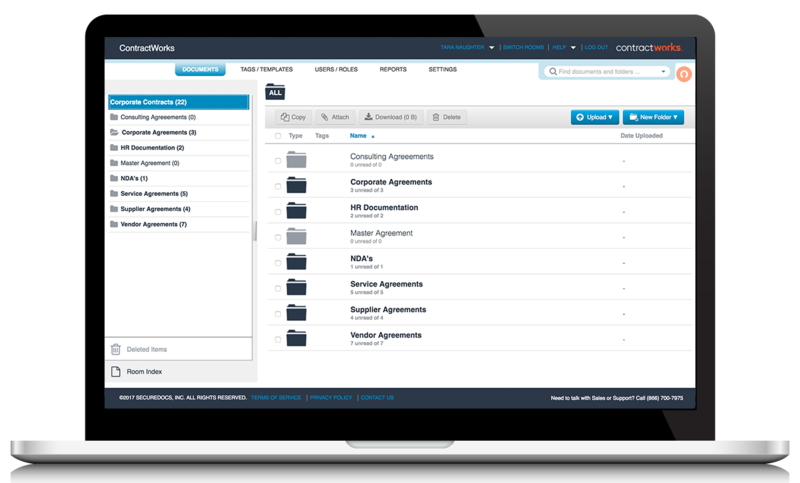 Simple uses ContracWorks to manage their growing contract database. Simple Finance Technology Corp is an American bank based in Portland, Oregon. It’s unique business structure means that they do not have physical branches, instead they offer a robust online banking system accessible through Simple.com and mobile apps, melding the existence for a secure financial institution with the convenience of modern technology. As Simple’s popularity began to grow the business began to take on a vast number of agreements, and they realized that they needed a solution that could help them organize, store, and quickly locate contracts and other agreements with critical milestone dates. After vetting other contract management solutions, the team determined ContractWorks to be the best fit for their business because it required very little training, offered an intuitive interface, and came at price that the competition could not beat. Simple struggled with effectively monitoring paper contracts. They needed a single, easily accessible location where they could organize, store, and search for all of their contracts. They were losing money due to poorly executed methods of contract monitoring, and needed a way to automatically track the details of their contracts - like end dates, auto renewals, and unused agreements. The team was short on time, and Simple needed a system that could be learned, implemented, as well as utilized by multiple parties in the organization quickly, and with little training - otherwise their contracting processes could not be improved. After taking the time necessary to adopt ContractWorks into their organization's contract management process the Simple team has been able to successfully monitor and track contract milestones, and easily run reports on upcoming auto renewals. Resulting in significant time and money savings. Taking advantage of ContractWorks unlimited users has meant that monitoring contracts no longer falls solely on one individual, and consequently has increased overall company efficiency.